Your switching has never been integral to your rail system. Until now. The days of your switches being forced to work around your hand guard are over. COR puts your light/laser activation first by recessing the switching into the rail and optimizing your ergonomics in the process. Free-float handguards have a lot of benefits. But as a company focused on optimizing your equipment, it became apparent to us very quickly that we were all being forced to work our lights, lasers and switches around the standard geometry of a hand guard. 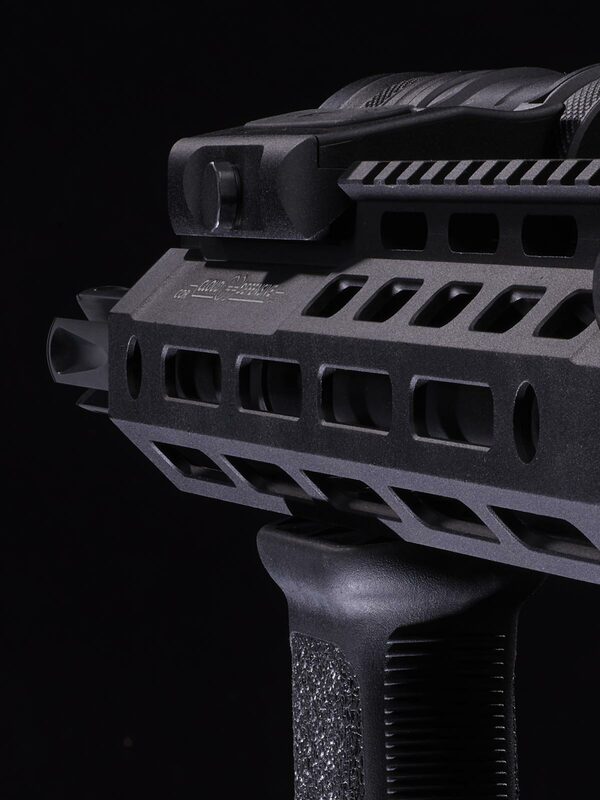 The further we went in weapon light production, the more obvious it became: In order to truly optimize a weaponlights’ placement and ergonomics, we needed to work on the handguard. A smarter way to see. COR lowers your switching into the heart of the rail. By doing so, your OWL or LCS unit no longer sits as high as it once did. And that means your Field-Of-View is improved. Particularly when it comes to optics sitting in co-witness or lower 1/3rd co-witness mounts. Even the 1.93” mounts benefit from COR. And iron sights benefit from this a lot as well. Every handguard has outer diameter, which is the number that your hand is forced to work around. COR has an outer diameter too. But by recessing the switch into the rail, we give you a level of ergonomic enhancement not previously available. It’s hard to describe. But once you experience a COR rail, every other rail will feel bulky when set up in the same manner. COR is integrated and it has instant appeal for that reason. We placed the recesses for your switching in very carefully selected positions, working around the systems we know people will use. Perfect for where most people mount their handstops or vertical foregrips. And perfect placement in relation to the muzzle device. The COR is specific to the switching you use. We have CORv1 that is specific to our Optimized Weapon Light (OWL) and also works perfectly for the Surefire model of our Light Control System (LCS). And we have CORv2 that is compatible with all the IR/Visible lasers along with both our Streamlight model LCS and the Surefire model as well. CORv2 is also fully compatible other brand switches, such as the Surefire SR-07 and DS-07. COR also offers an unparalleled amount of protection for your switch, since the switch sits down into the rail. This protects the switch and further reduces the odds of negligent light discharge. The COR is compatible with any mil-spec upper and many non-mil-spec uppers. COR is also compatible with low-profile gas blocks in both the carbine and pistol length configurations. COR is not compatible with piston-driven operating systems. We optimized the length of the COR for the barrels it’s used with and includes a full BCM Barrel Nut assembly. 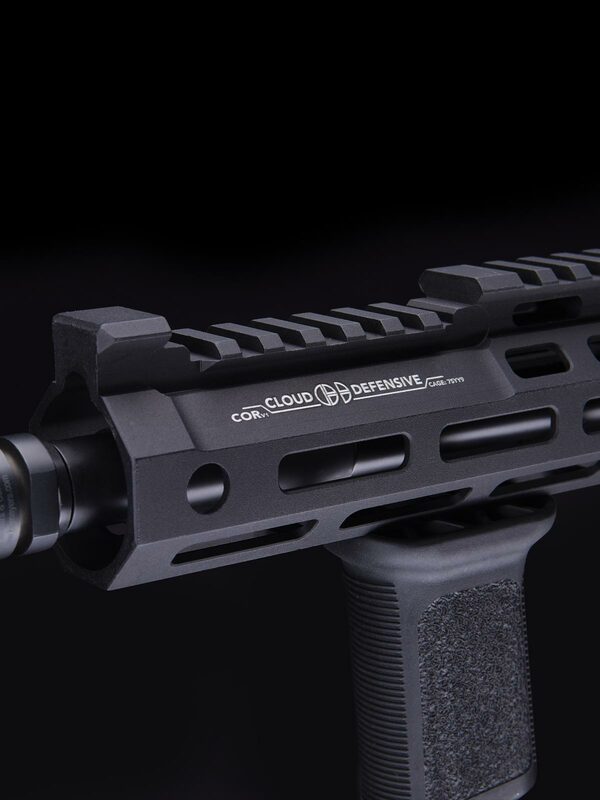 We’re launching the COR series with a 9.55” length rail that is perfect for 10.3 and 10.5” barrels. And of course it can be used with longer barrels as well. COR was designed from the ground-up to support our Optimized Weapon Light (OWL). They pair perfectly together with the CORv1 being sized to within thousandths of an inch of the OWL mount. When paired together, OWL appears to be built into your rail. CORv2 is compatible with both picatinny models of our Light Control System (LCS) and other brand switches, such as the Surefire SR-07 and DS-07. You can place remote switches for the IR lasers in that recessed channel as well. Unfortunately, COR is not compatible with the Unity Tactical TAPS series. CORv2 is also designed to work with all the common IR designators on the market. Including the B.E. Meyers MAWL, the L3 PEQ-15 series (LA-5, ATPIAL, ATPIAL-C) and the Steiner DBAL-series. The lasers all mount in front of the recessed slot and the switching then sits down in the channel, whether housed in one of our LCS units or not. Built for duty-use. Everything we do is done with the realization that our equipment can not fail. COR is no different. Our hand-guard has wall thickness of .100”, which is thicker than the others we have measured. In fact, we’ve never found an M-LOK® rail that is thicker. With the thicker rail, we get great heat sync and dispersement. And you get a rail that is incredibly strong and works precisely how it should. 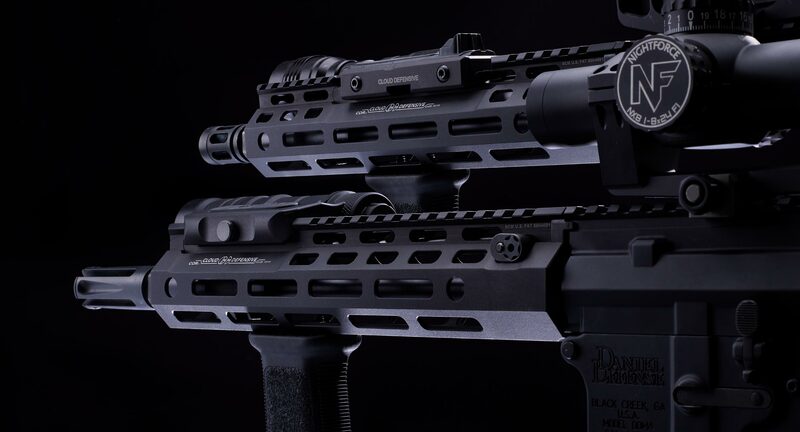 We gave the rail proven M-LOK® technology to give you the ability to mount accessories as needed. 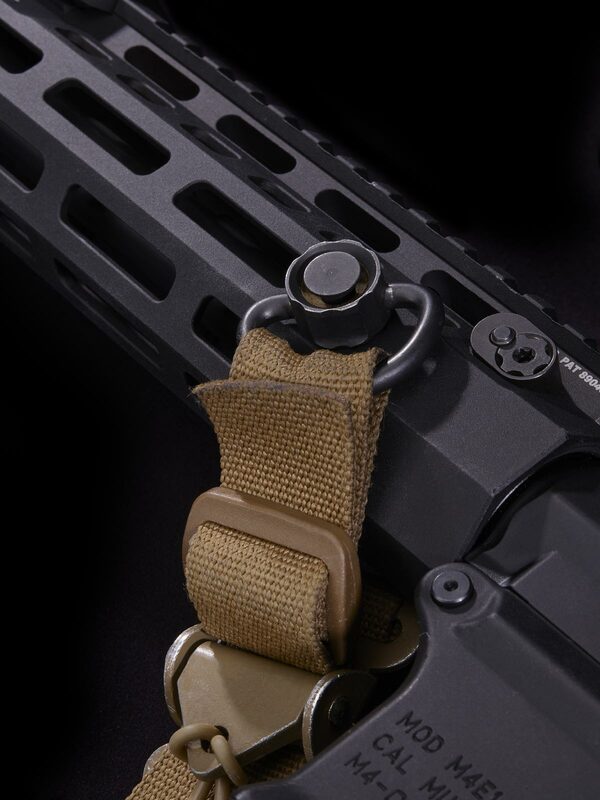 We finished the rail by integrating forward and rear-ward integrated QD sling mounts. Because having to buy extra mounts for your rail should be a thing of the past. If you are going to optimize rails, that means you are going to have variants. Because not every rail is perfect for everybody. But if we do our jobs right, there will be an COR that is perfect for your needs. We moved the Patent-Pending recessed channel forward on the CORv1 to create the ideal location for our Optimized Weapon Light. In doing so, the bezel is perfectly positioned for optimal performance and rapid battery changes. CORv1 is also fantastic for the Light Control System (LCS) and Surefire combination. CORv1 is not intended to be a host for a laser interface however, as there is no room in front of the recess to mount anything. There is ample room behind the recess to mount back-up sights however. We intentionally placed the OWL in front of the back-up sights because given that your light activation is a life-saving issue, it needs to be optimized. Furthermore, modern-day optics are incredibly reliable. So the odds of using back-ups is increasingly diminished. And finally, if you mount the BUS to the rail behind the OWL, you only lose 3” of sight radius which means you still have ample sight radius on your weapon to get hits in an emergency situation. So our placement of the OWL in the COR channel is very much intentional there. CORv2 is designed for the guys running Surefire or Streamlight white lights along with IR systems. Or the guys running just a Surefire/Streamlight weapon light who also need or want to use backup sights in front of the recessed switching. To accommodate those needs, we recessed the picatinny section for your controls a little further back. That allows you to forward-mount a B.E. Meyers MAWL, an L3 PEQ-15/LA-5 or a Steiner DBAL-series laser or any back-up sight on the market and still optimize the controls with our recessed switch channel. CORv2 works with the LCSmk1, for your Surefire ST07. CORv2 also supports the Surefire SR-07 and the Surefire DS-07 switches as well, further protecting them from accidentally being dislodged. CORv2 works with the LCSmk2, for your Streamlight ProTac (RM1, RM2 and HLX). It’s sized so it fits both the original remote switch provided by Streamlight and the new, upgraded switch as well.